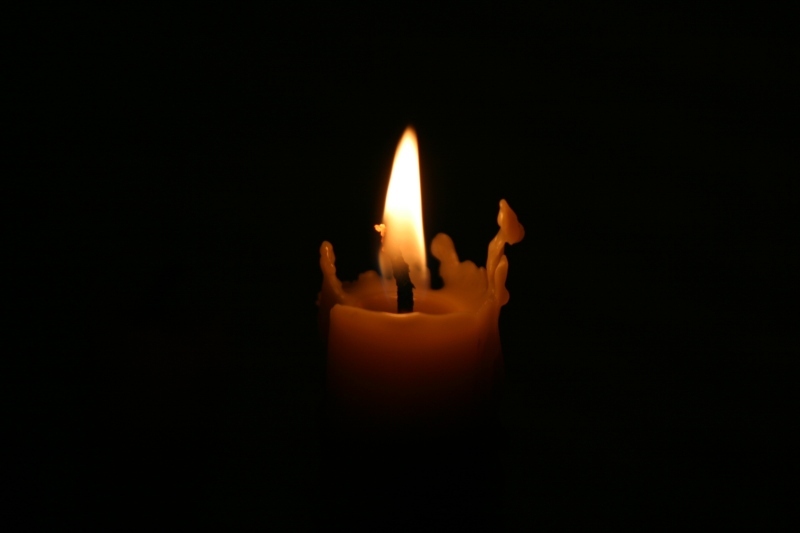 ONCE again, the image of a smoldering candle has come to mind, barely any wax left upon the burned down Candle (see The Smoldering Candle to understand the symbolism). As the Light of Truth continues to fade in the world, this Light will continue to grow in intensity and power in the hiddenness of the hearts of those consecrated to Him. The fruit of this will be joy! Yes, you will become signs of contradiction to the world. For as nations will shudder in terror, there will be a calm, peace, and joy emanating like the Sun from the hearts of those who have resisted the temptations of our times, emptied themselves of this world, and opened their hearts to Jesus! This joy is the fruit of freedom! The call to voluntarily dispossess ourselves of material pursuits, to empty ourselves of sin, and leave behind “house or brothers or sisters or mother or father or children or lands” (Matt 10:29) is not a program of empty asceticism. Rather, it is preparing us for the divine exchange of the heart of Christ with ours! Jesus wishes to exchange your heart with His burning Sacred Heart if you but open wide your heart to Him! Yes, this Light of Truth I speak of is truly and really the Sacred Heart of Jesus which He will infuse in His Apostles in these last days. And this is what the consecration to Mary is: a grace to conform and prepare our souls in humility, just like Mary’s, so that Jesus may be infused in us as He was in her womb. The Triumph of her Immaculate Heart will be the establishment within the Church of the Sacred Heart of Jesus. IT IS COMING! IT IS COMING! O brothers and sisters, give yourself to Him completely! Leave this world with all its vanities and endless distractions and false securities to the wild animals who will someday roam about the ruins of our man-made mansions. Jesus has eternal joys and blessings to give you now…. graces which will begin in this Time of Grace, and grow exponentially in the Era of Peace. We are like wheat growing among the weeds, but the kernel of life cannot be choked if we remain rooted in Christ.